This page hopes to keep you updated with developments and information from the world of Sooty. If you hear of anything that may be of interest to other readers please drop me a line on the message page. Many thanks! SOOTY RETURNS TO ITV: Sooty returns to our television screens on Thursdays at 3.50 on ITV. The series begins its run from 31st July 03. Planet Gullane which hosted the official Sooty Web Site has now ceased to be. The official Sooty site can now be found on Hit Entertainments web site. Currently however there is very little on the site regarding Sooty but hopefully that will change in time. THE IZZY WIZZY TOUR, SPRING 2003. April 27th: Aberystwyth Arts Centre, Aberystwth. 01970 623232. April 26th: The Hexagon, Reading. 0118 960 6060. April 24-25th: The Alban Arena, St Albans. 01727 844488. April 23rd: Civic Hall, Winford. 01606 867539. April 20th: Middlesbrough Theatre, Middlesbrough. 01642 815181. April 18th: Woodville Halls Theatre, Gravesend. 01474 337774 . April 16th: Royal Spa Centre, Leamington Spa. 01926 334418. April 15th: Guildford Civic, Guildford. 01483 444555. April 14th: St David's Hall, Cardiff. 02920 878444. April 13th: Pavillion Theatre, Worthing. 01903 206206. April 5-6th: The New Elgiva Theatre, Chesham. 01494 582900. March 29-30th: Hazlitt Theatre, Maidstone. 01622 758611. March 23rd: Ferneham Halls, Fareham. 01329 231942. March 22nd: Blackwood Miners Institute, Blackwood. 01495 227206. March 16th: Princess Theatre, Torquay. 08702 414120. March 15th: Central Theatre, Chatham. 01634 403868. March 14th: Ashcroft Theatre, Croydon. 020 8688 9291. March 9th: Victoria Theatre, Halifax. 01422 351158. March 6-8th: Kenneth More Theatre, Ilford. 020 8553 4466. March 2nd: Queens Theatre, Barnstaple. 01271 324242. March 1st: Key Theatre, Peterborough. 01733 552429. Feb 28th: Key Theatre, Peterborough. 01733 552429. Feb 23rd: Princes Hall, Aldershot. 01252 329155. Feb 17-22nd: Civic Theatre, Chelmsford. 01245 606505. Feb 15-16th: Theatre Royal + Opera House, Wakefield. 01924211311. 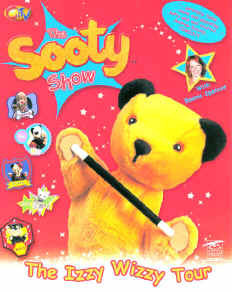 NEW SERIES STARTS: Series 50 of the Sooty Show, begins its run on the 15th October 2002. The show to be screened in the UK on CITV, will be the 50th consecutive year Sooty has appeared on our screens. Sadly this series will be without Brenda Longman who has been the voice of Soo for over 20 years. Brenda is to concentrate on her film and theatre work. She will be sadly missed. This series is also using some of the old puppets from the Harry Corbett days as a special 50th anniversary thingmegig. Strangely Miki the new cat from series 49, seems to have changed into Kipper from the Harry Corbett days. 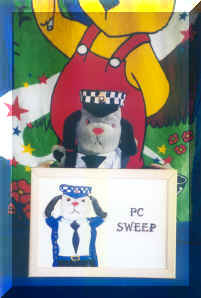 She's still talks and uses the name Miki, but the great detective PC Sweep states that it's definitely Kipper in disguise! SEPT 02: HIT Entertainment have successfully completed their acquisition of Gullane Entertainment. This buy out creates one of the worlds leading entertainment studios, bringing together Gullanes' characters of Thomas the Tank Engine and Sooty with Bob the Builder, Pingu and Barney. Hit Entertainments chief executive, Rob Lawes stated: "We are delighted to announce the successful acquisition of Gullane and their fantastic portfolio of children's entertainment brands. The combination of our two companies brings global brands such as Bob the Builder and Barney together with, amongst others, the much loved classic children's brand Thomas the Tank Engine." What will the future be for little Sooty and Sweep? Will they be swallowed up by these big companies and become just a brand name? I spoke to Sooty and Sweep who looked mystified by the whole thing. "We're just a little Teddy Bear, and a little dog," said Sooty, "we have feelings and personalities, I just hope the big scary men in suits remember that." So do we Sooty, so do we. GULLANE BOUGHT OUT! : 060702. Cash strapped Gullane Entertainment have finally accepted a £139 million buy out offer from Hit Entertainment. Hit Entertainment are the company behind Bob the Builder and this buy out will make them one of the biggest kids TV companies in the world. The deal should be finalized by the Autumn. What this will mean for Sooty & Co, only time will tell, so watch this space! SOOTY'S SUMMER HOLIDAY SHOW. Sooty & Sweep will be appearing in a new summer show, as part of the 'Puppet Up Festival' in Blackpool on Saturday May 18th. Sooty will be joined on stage by Bonnie Spencer who will perform her own songs, tricks and slapstick. Performances are at 1pm, 2.15pm and 3.30pm at the Lower Promenade, located between the North Pier and Tourist Information Kiosk. An alternative wet weather venue is at the Carousel Family Bar, North Pier. After Blackpool, the summer show will then tour other seaside venues. Tour dates and venues coming soon! Friday 19th JULY - Fri 30th AUGUST 02: SOOTY'S SUMMER HOLIDAY SHOW will be attending all 8 UK Pontins Holiday Camps, for a summer tour. Monday 29th July 02. The tour will be attending the Ealing Summer Festival. Aldershot: Promotion starts on 1st February 02. Reading: Promotion starts on 3rd February 02. Chelmsford: Promotion starts on 4th February 02. Fareham: Promotion starts on 17th February 02. Croydon: Promotion starts on 2nd March 02. Winsford: Promotion starts on 14th March 02. Peterborough: Promotion starts on 18th March 02. Maidstone: Promotion starts on 20th March 02. Gravesend: Promotion starts on 22nd March 02. Worthing: Promotion starts on 24th March 02. 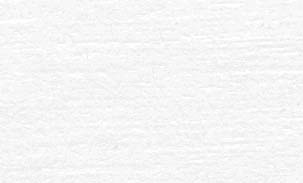 Chatham: Promotion starts on 26th March 02. SOOTY FOOTY MASCOT CHALLENGE Sooty and Sweep will be visiting top football matches, to take on (and hopefully beat) the host clubs' mascot, in a half-time penalty shoot out! Free giveaways for all young fans will be handed out. The site has video clips, games, news etc, and you can also buy the new Gullane range of Sooty merchandise, including videos and puppets. The Magic & Mayhem Theatre Tour introduced another new face to Sooty and the gang, Amanda Howard. Acting along side Sooty's right hand man, Richard Cadell, Amanda was thrilled to be chosen to appear with Sooty in the 2001/2002 national theatre tour. SERIES 49 OF THE 'SOOTY SHOW' 2001. Gullane, having taken over the rights to our favorite bear, immediately made changes from the previous two series of Sooty Heights. A new colourful set was made, and a new character called Miki joined the gang. 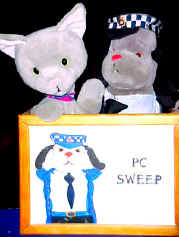 Miki pictured here with our own PC Sweep, is a cat from Brazil. Miki whilst being a little girl, has a very different character from Soo and could be described as being a bit of a Tom boy or should that be Tom cat? No a Tom cat is something different, forget that! Miki likes reading comics and getting into trouble, so she fits right in!